We have been focusing our efforts on coordinating & helping with relief efforts for the #CardStreetFire near Sterling. Krista has been volunteering with the Sterling Community Center and coordinating housing for those displaced. Holly & Brandi have also been doing coordinating, networking and manning Facebook & Twitter to get information out. There have been so many volunteers, donations and acts of kindness from our community the past few days. It is inspiring. Thanks to everyone for their part in helping our neighbors! Follow our Twitter feed for updates! The folks of Opportunity Village Eugene, Oregon are celebrating as they have made a huge step in the process of building Emerald Village Eugene. The group purchased a 1+ acre lot for $306,000 in May. Designed as an affordable housing option for people who cannot afford to purchase turn-key homes or who do not otherwise qualify for public housing assistance, Emerald Village differs from Opportunity Village and is about half a mile apart. OV is a safe and temporary place for the homeless to get off the streets until they can move into a transitional housing situation. EVE will be a housing development of 15 small bungalows complete with a kitchenette and bathroom. Residents will then rent these 250 sq. ft dwellings for $225-275 per month. The next step for EVE is raising the $400,000 in private funds to begin construction. Like EVE, The Habitation is relying on private funds to bring our dream to fruition. Private donations, volunteer efforts and eventually resident “sweat equity” is what will set us apart from government programs. This is a step in the right direction, bringing affordable housing to individuals and families in Eugene, OR who are living on less income. More affordable housing options are needed across the Nation for Americans living on less income. 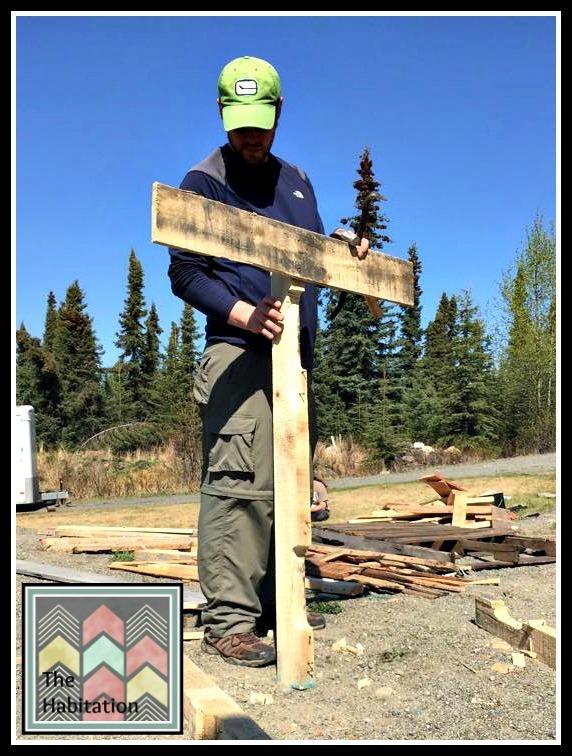 We see the need here on the Kenai as well and we want to make a difference. For more information on Opportunity Village and Emerald Village Eugene click here and here. 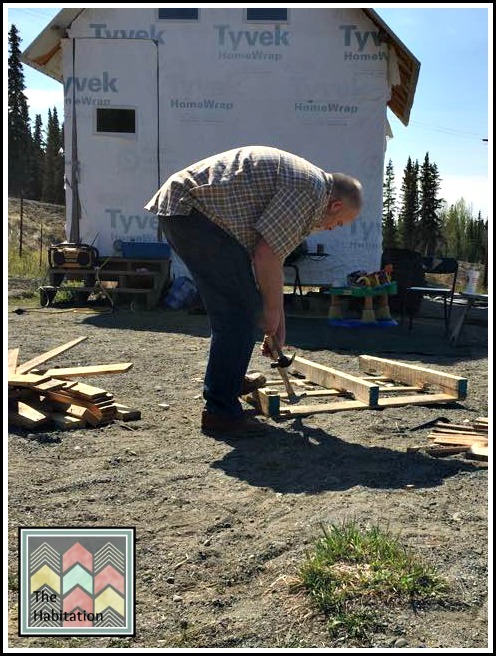 If you would like to be part of our own housing initiative here on the Kenai Peninsula please join the conversation on The Habitation’s Facebook page. There are several opportunities for you to help! Excuse me as I shed a tear or two of excitement and gratitude! 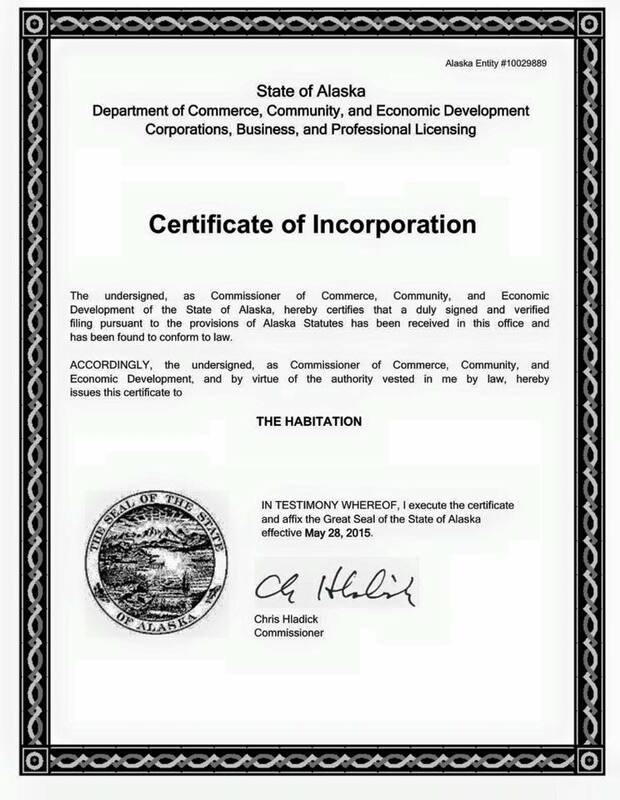 The habitation is an official state recognized Non Profit!! Now on to become official a federally recognized 501(c)3 nonprofit so we can get grants and give donors a tax write off for monetary gifts!! Yesterday was our very first work day! We spent a few hours disassembling a load of pallets for upcycling projects. Our goal is to create items to sell to raise the start-up funds for our charitable organization. Five team members gathered to work and discuss business needs while building community. Part of what makes us different is that we want to be a community, more than simply a board doing business. Family is important to The Habitation! Our kids enjoyed some play time while the adults got down and dirty with the demolition! Our ideas: birdhouses and some larger planters & furniture. 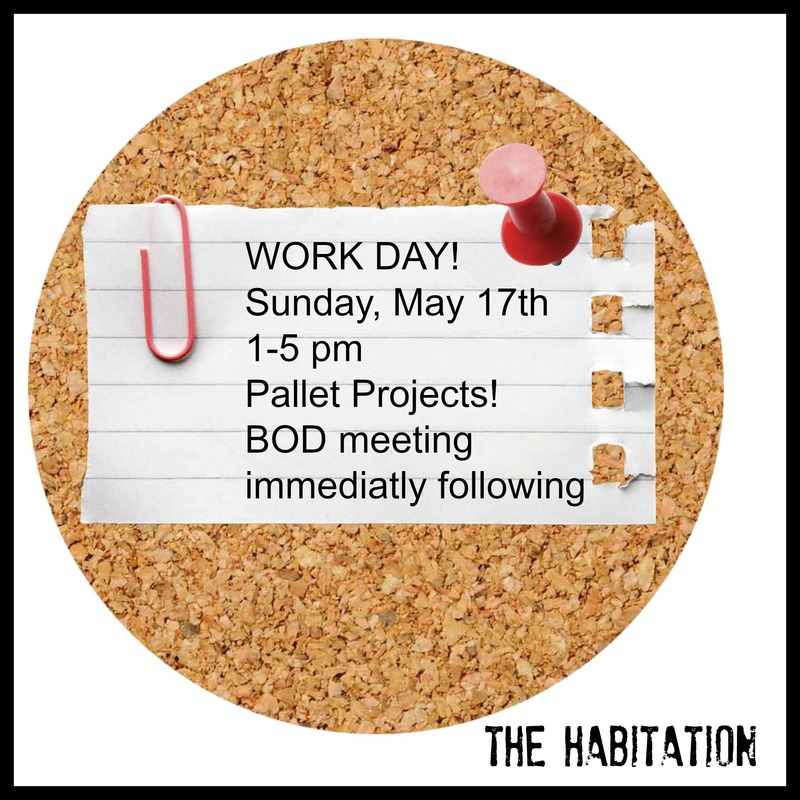 Pallet dis-assembly is hard work! 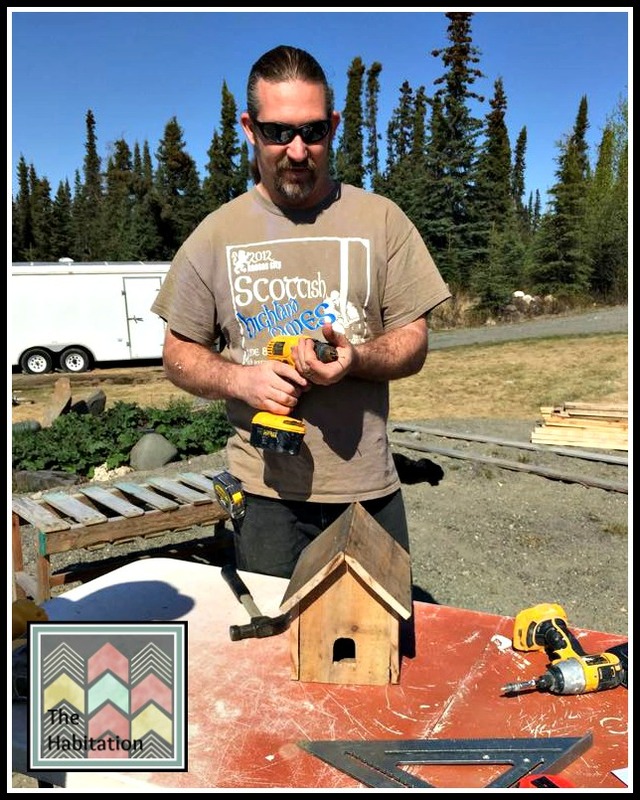 Bird house: Tiny houses for homeless birds. Thanks to Board Member Holly for the photos of our project! America’s renters are facing a crisis. A rising number of Americans are paying half or more of their monthly income for rent. Top financial gurus, like Dave Ramsey, suggest that no more than 25% of your take home pay should go towards housing (and this includes taxes and insurance) to be sustainable. Source. But for many, this is simply not realistic. To bring awareness of the plight of these Americans, the Make Room Campaign is taking center stage, in an unlikely venue. Many in the music industry are known for their awareness causes and yet playing concerts in people’s homes is a brilliant way to highlight just how significant this issue is for a significant & growing number of Americans. But do we really understand what other people are facing when we say there is a rental crisis in our country? Let’s say a single mom, we’ll call her Victoria, she has two kids, and she has a “good” job that pays $10/hour. Victoria is money savvy and does her best to budget and live within her means. She works 29.5 hours a week (because her employer tries to keep her less than “full-time” to avoid providing healthcare benefits). Her gross pay is $590 for two weeks. She has federal payroll taxes deducted and brings home $544.86 every other week. Source. Rent (for a one bedroom apartment) is $750 month and includes electric, heat, & water. From her monthly income of 1,089.72 she has $339.72 left over to use for groceries (average cost for 3 people, for 2 weeks, source) $183.00, cell phone ($30/month, no home phone) $15, fuel for her car (average of 15 gals @ $3.12/gal per week) $93.60, she also has to pay for childcare 2 nights a week when she has to work the late shift (a friend watches her children for a reduced rate of $10/day, which is a dream deal) $40, that leaves a grand total of $8.12 left at the end of each pay check (which is usually spent on food). There is no money available for saving. No money for OTC medicine or medical issues not covered by Denali Kid Care. No money available for car maintenance and especially not for major expenses like replacing tires or a major mechanical issue. There is no money left at the end of the month for birthday gifts, going out to eat or any of the things that most of us take for granted as something we deserve. She can’t afford cable or trash service, she doesn’t have internet and only uses the library’s occasionally. She can’t afford to splurge on pizza or go out for ice cream with her kids, she grows weary of telling them “no” every time they ask for something. She prays that her kids wont get hurt or sick so she wont miss work. Missing one week of work would likely mean eviction for them. Victoria has contemplated getting a part-time job to help boost her income, but any job that she can work on weekends will only pay minimum wage, and then she would also have to have more childcare expense, more fuel and likely more expense due to work clothing needs/shoes, etc. After factoring her expenses she decides that a part-time job wouldn’t bring home enough to make it worth while as well as the fact that she would then only see her two children 3 nights a week. Victoria uses her family’s Permanent Fund Dividend and income tax return each year to buy new tires and maintain her car (including annual taxes, insurance, etc), fund birthday and holiday gifts for her children and purchase clothing & shoes. Without their PFD and income tax return she wouldn’t be able to afford these things. A more sustainable rent amount for Victoria’s earnings would be $300-400 per month. Having $350-400 dollars extra each month to use for necessities and she would be able to save a little money each month and perhaps come out ahead at the end of the year. But, there are simply no rental options available in that price range. None. But what if Victoria had a tiny house? What if she had the ability to own her own home, to have the chance to live within her means and even prosper with her income? What if she wouldn’t have to rely on government assistance to simply get by? What would her life be like if her financial outlook wasn’t so grim? What would Alaska look like if the majority of her citizens were stable? What would America look like? 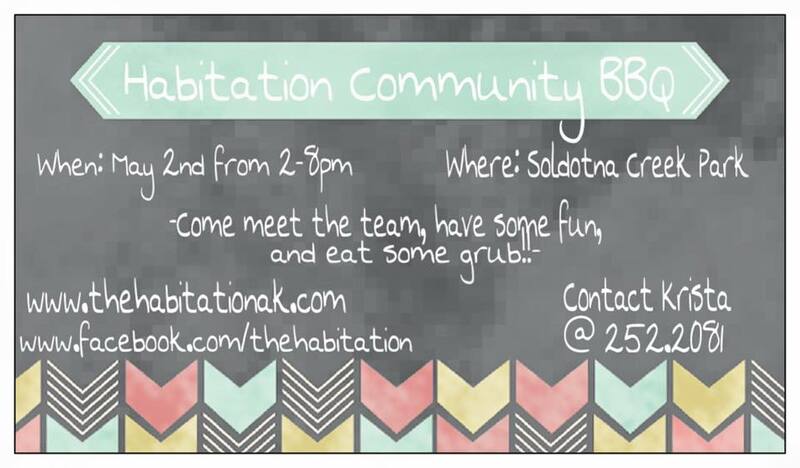 Join us for a fun afternoon for food & fun! 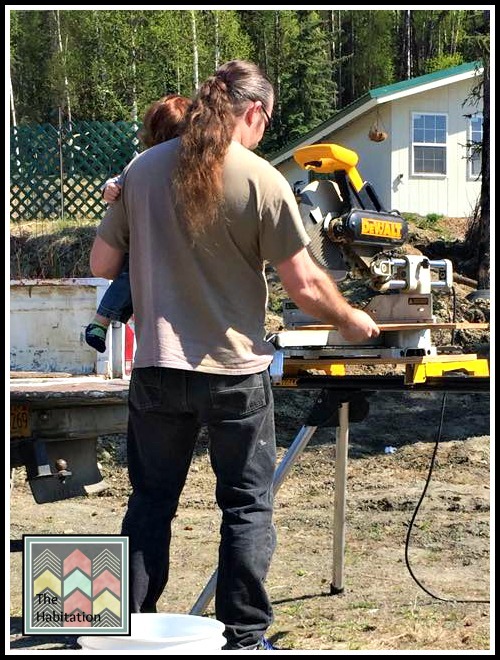 Saturday May, 2nd at the Soldotna Creek Park in Soldotna. Can Tiny Houses Offer the Ultimate Freedom?